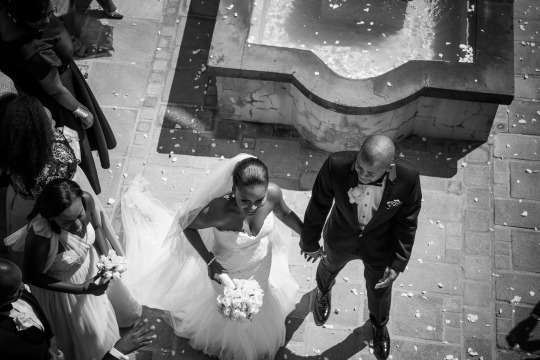 Wedding Date chatted to Mpho about their most memorable day. Bongi and I noticed each other in church but neither of us had the guts to approach the other. After a few years we bumped into each other at an industry book review and the rest is history. After 2 years of dating Bongi proposed during a romantic dinner on my birthday. Planning our wedding was almost an absolute dream. We kept it as simple as possible and both were very active in the planning process. It made it much easier to make decisions when we were both involved. I had a clear vision in my mind of what i wanted and lets just say, Pinterest helped me develop a very clear vision board which i sent to all my suppliers. 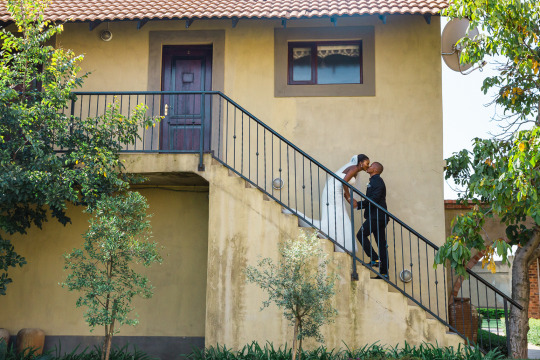 We also made sure that we had an engagement shoot which helped us to become familiar and comfortable with our photographer, Tali, and to clearly articulate what we wanted our pictures to look like. 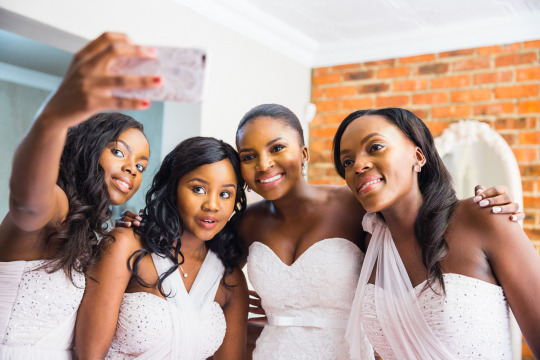 Our wedding day ran like a clockwork all thanks to the amazing spreadsheets that my maid-of-honor had shared with me post her wedding a few months before. 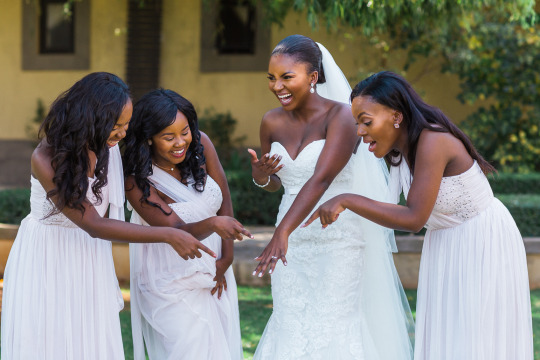 Everything looked spectacular - the venue was pristine with perfectly manicured gardens and the decor inside the reception venue looked more beautiful than we had imagined. Of course the stars of the show looked dashing, we made sure that our outfits were one things we did not compromise on! 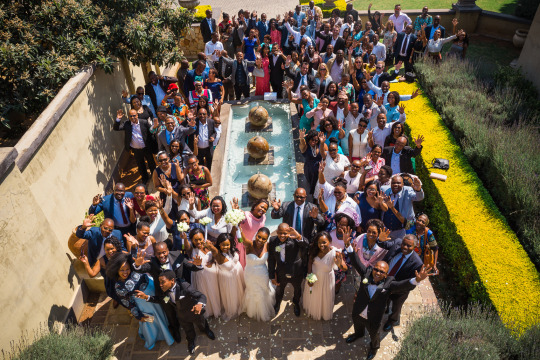 We decided to keep the wedding relatively small, making sure that it was as intimate as possible and that we would be able to mingle with all our guests. 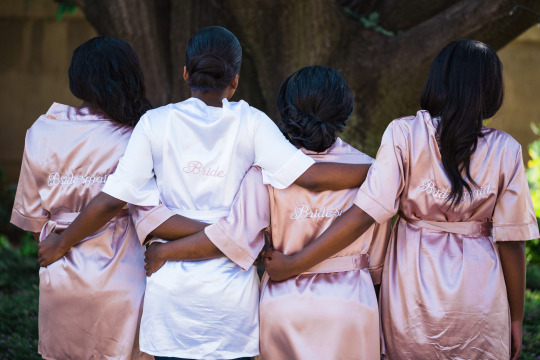 My tip to brides planning their wedding is to choose a few things you know you can not compromise on, stick to that, and everything else will not matter as much. 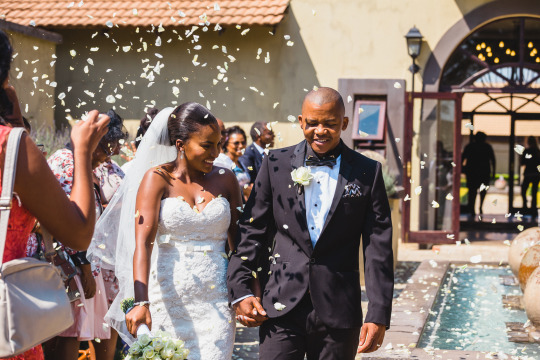 Thank you to Mpho and Bongi for sharing their beautiful story with us, we wish you all the biggest blessings for the future! To trash or not to trash! ?